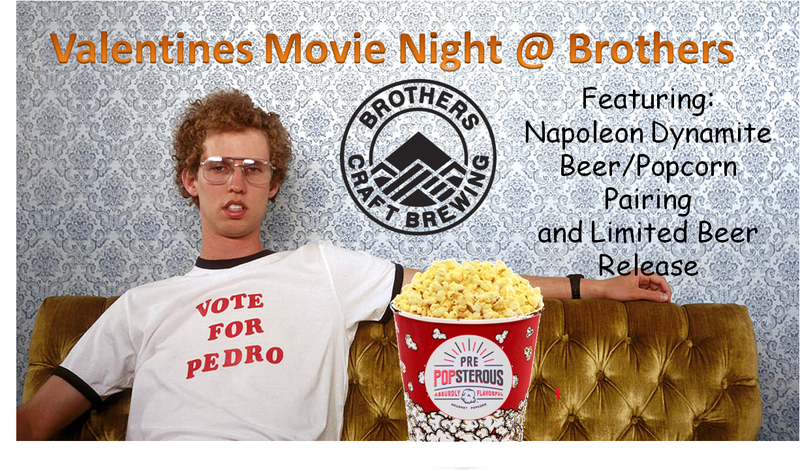 Spend your Valentines Day at Brothers watching a movie, and enjoying an exclusive beer and popcorn pairing! 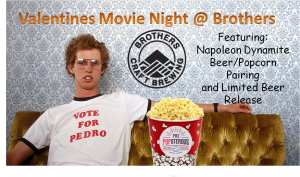 Whether your bringing your significant other, a friend, or a group looking to avoid the candlelit cliche’s of Valentines Day, join us to watch Napoleon Dynamite, and enjoy some of our beer and popcorn from our friends at PrePOPsterous! We’ll have some of our cellared sours and a limited pilot batch to fit the mood.